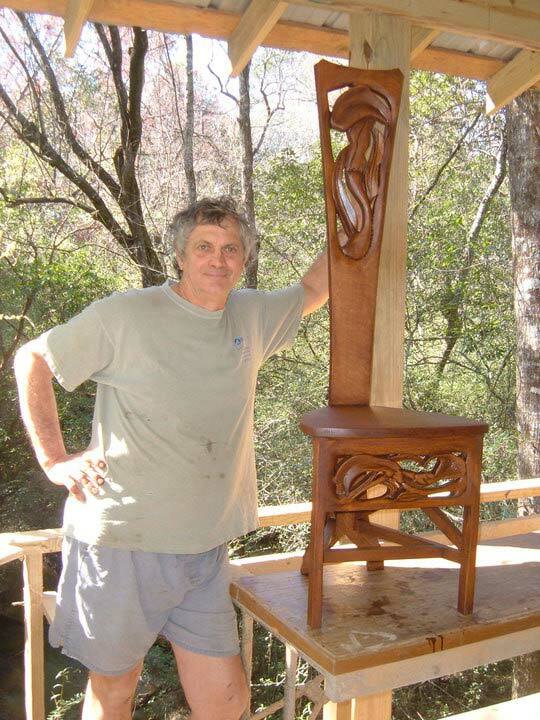 On today’s Follow Friday we have the work of Denis Hermecz, a woodworker from Silverhill, AL, who we featured in our Show Us Your Woodcarving column in the May 2013 Issue of Wood News. Throughout his woodworking years, Denis has created a variety of pieces including cabinets, nightstands, and bookshelves, and lately he has been focusing on woodcarving. In an interview he did with Woodworking Network, Denis discussed how he started his career in woodworking. In order to earn money for school, he worked as an apprentice boat builder, where he was able to find a passion for the craft. In college, he majored in English and like a lot of people do when they graduate, he focused in getting a career where he could use his major whether it be as a Writer or English Teacher. He didn’t realize it right away, but once he figured out he could make woodworking into his career, he was set on his path. The frame takes up an entire wall at 54″x103″, and a lot of the vine work that Denis put into this piece was freestyle form, which is what I think makes this piece stand out to me. 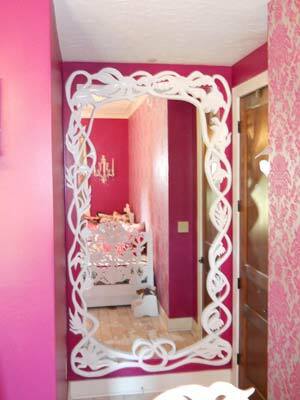 Below are a few more pieces that Denis has made. If you would like to see more of his work, you can visit his website HERE.